If you’re looking for an adrenaline fuelled experience why not check out one of the many track days that take place at Elvington Airfield? This past Sunday saw an all day event hosted by Everyman which gave driving enthusiasts the chance to pilot a plethora of supercars from the likes of Ferrari, Lamborghini, Porsche and Aston Martin. The day was open to all-comers and slots were available to pay and drive on the day. With prices starting around £60 for a couple of laps in a Ferrari 360, it was a relatively inexpensive way to experience the thrill of driving some of the fastest and most exclusive cars on the market. And if you didn’t fancy taking the wheel there was the option of being driven round the track in an Ariel Atom for just £10! This was an excellent day with the intoxicating aroma of burning petrol, the chance to get up close and personal with an array of the most beautiful supercars on the planet and plenty of high-octane action around every corner! 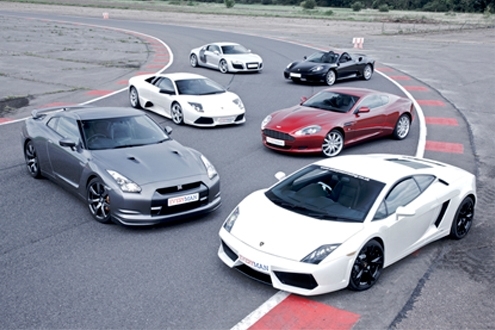 If you fancy getting the hammer down, the full range of supercar experiences are available on the Everyman website where prices start at £49 for a drive in one car, right up to £799 for the full works!